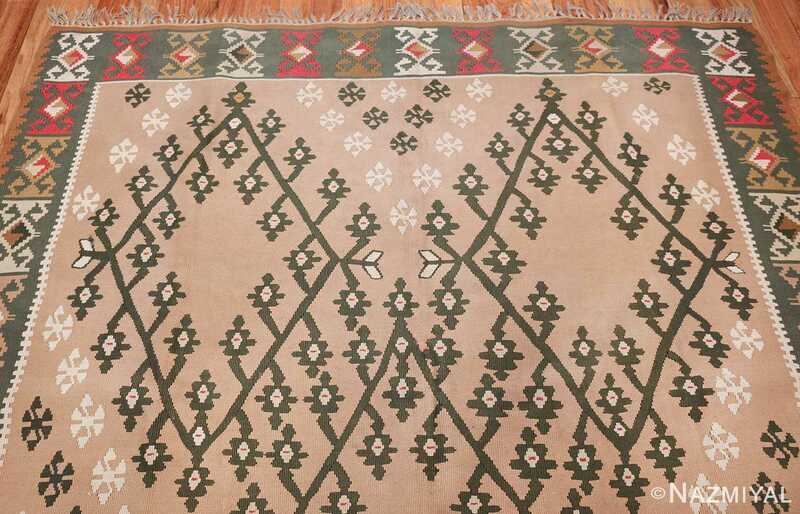 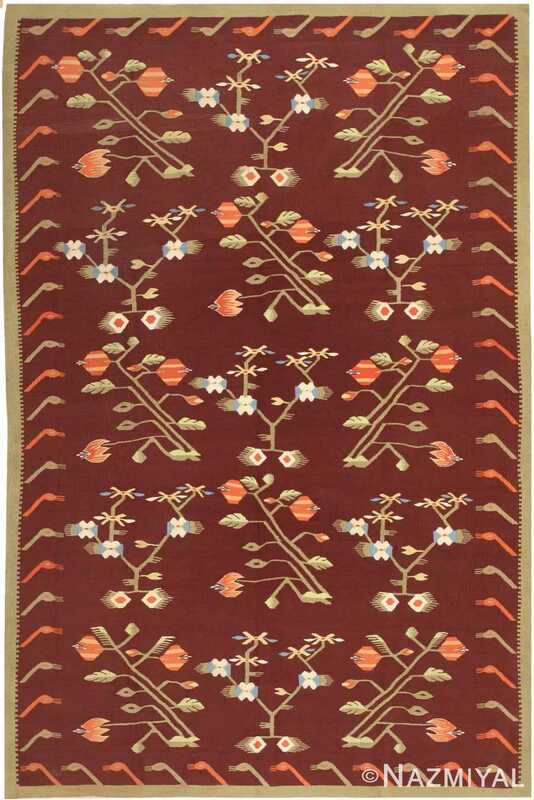 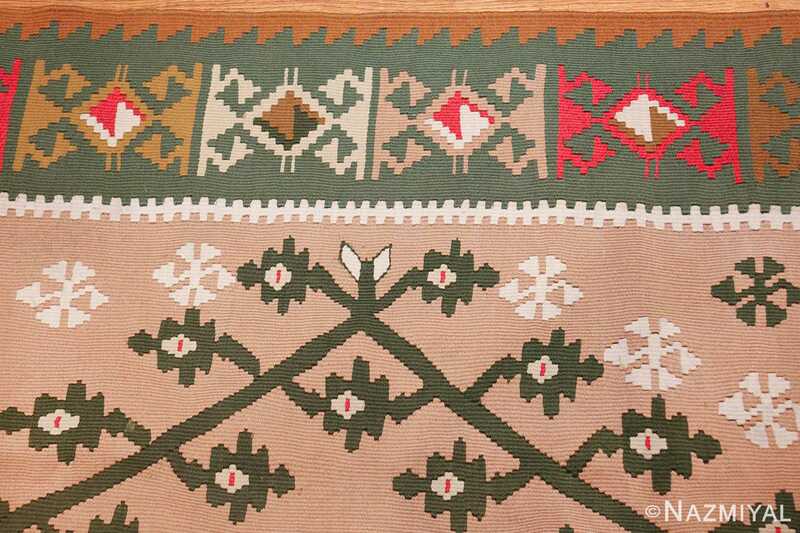 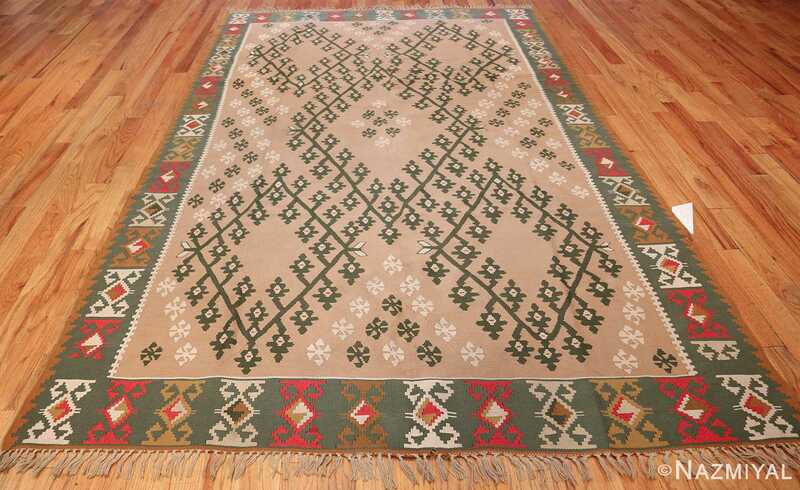 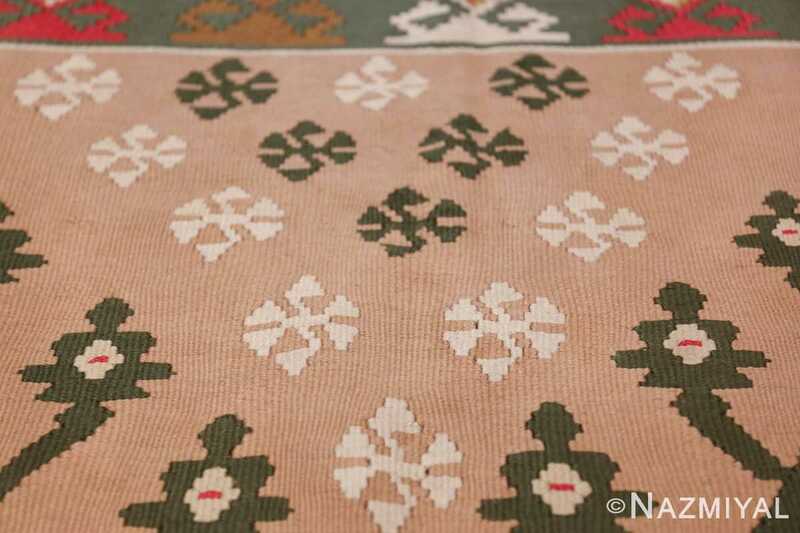 Flat Woven Vintage Bessarabian Kilim Rug, Country of Origin: Romania, Circa Date: Modern / Contemporary– These sturdy rugs were woven as utilitarian carpets, but they are highly valued today for their authenticity as representative of Middle East weaving. 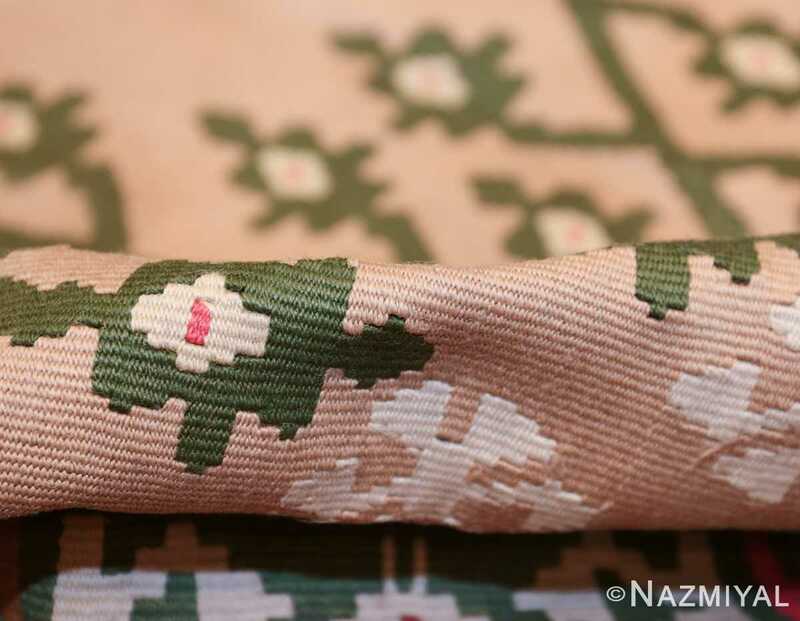 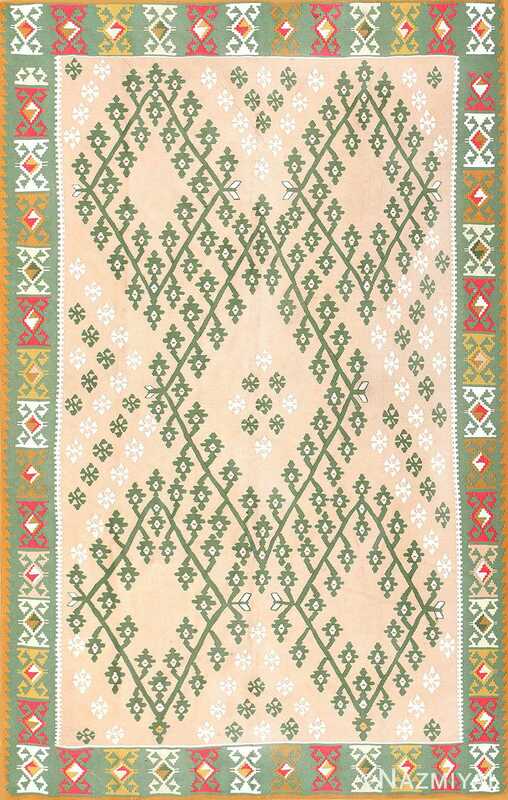 The pattern is produced entirely on the horizontal weft yarns as they are laid over the vertical warp. 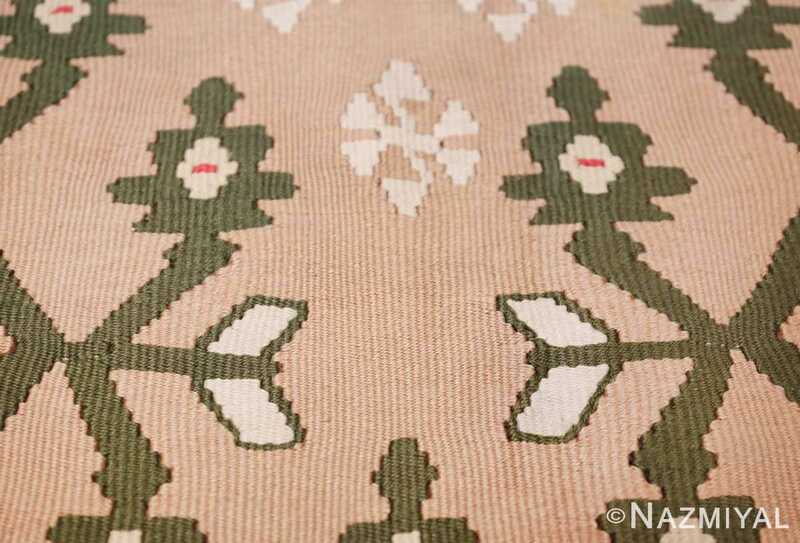 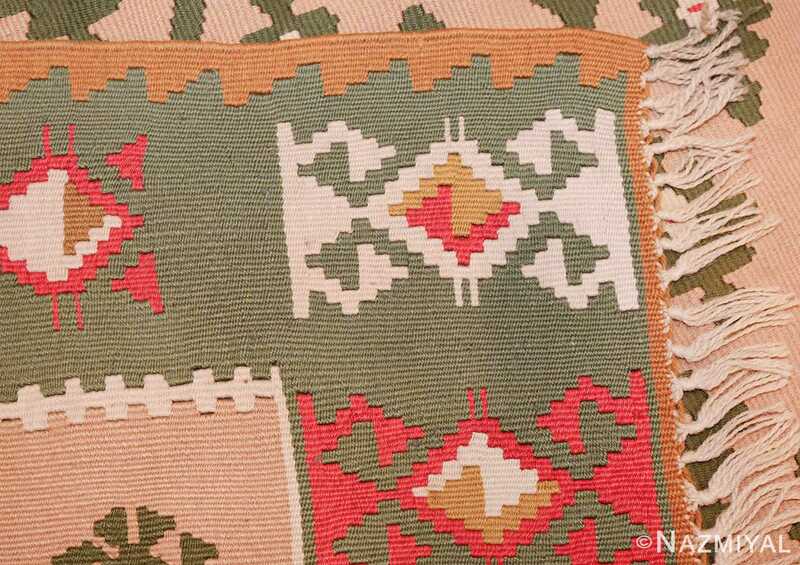 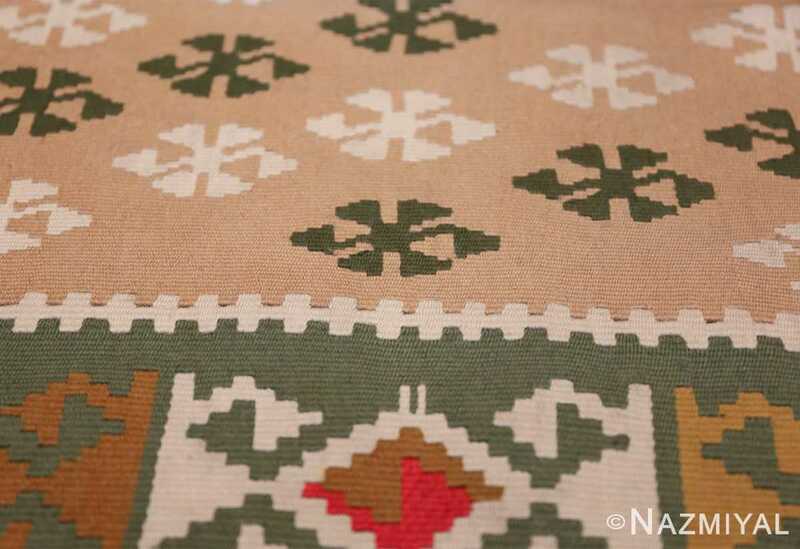 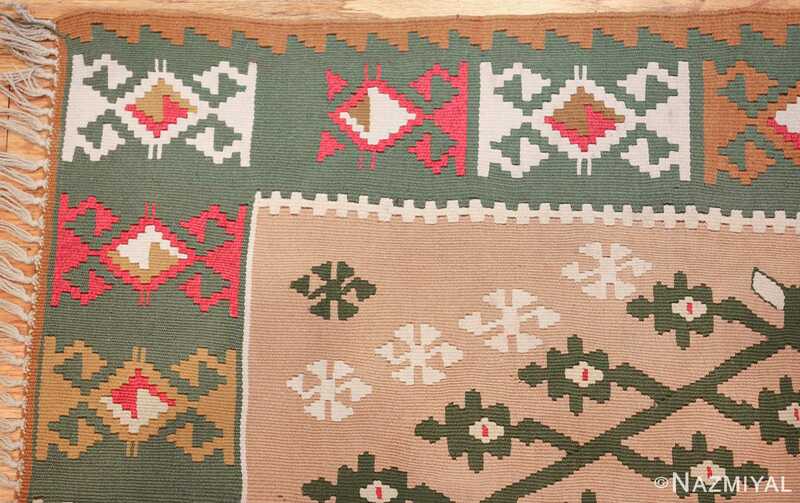 This makes the continuation of a color or pattern difficult, and the resulting pattern often has a stepped appearance on this Kilim rug. 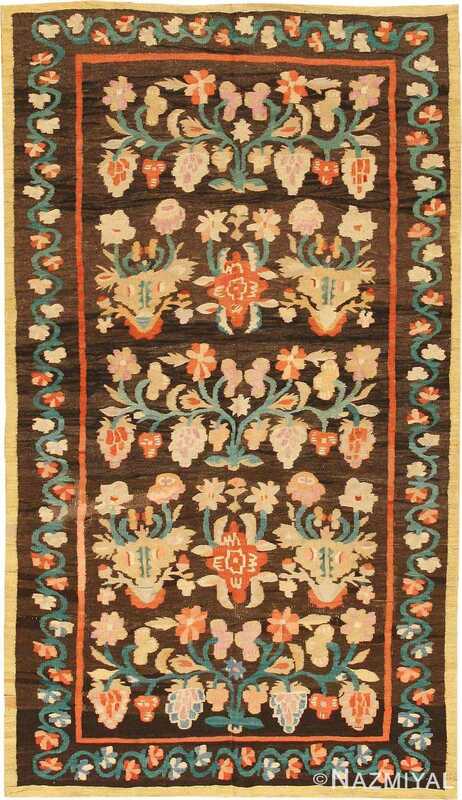 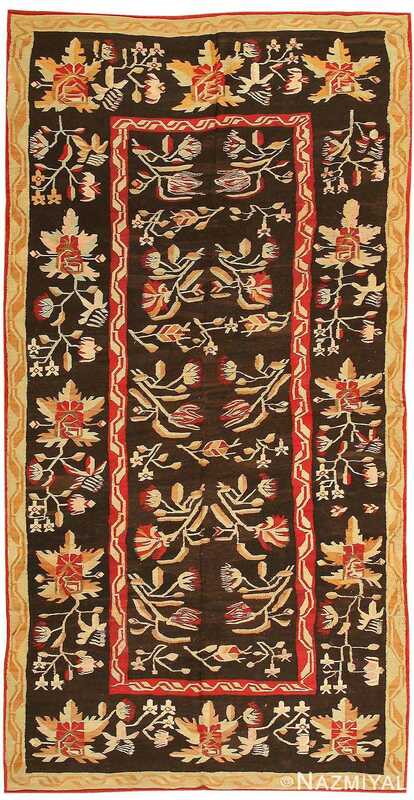 Because of the thinness of their weave, these once humble Bessarabian rugs are often sought as wall hangings and works of art.